Hello! It’s Tami here from Kamp Kindergarten. I hope you are having a wonderful summer! When people think of summer, many people think of the beach and ocean. Toward the end of the school year, I like to incorporate beach/ocean themed learning activities into our curriculum. Many schools are on a Year Round School calendar schedule so summer-themed learning activities are welcomed. 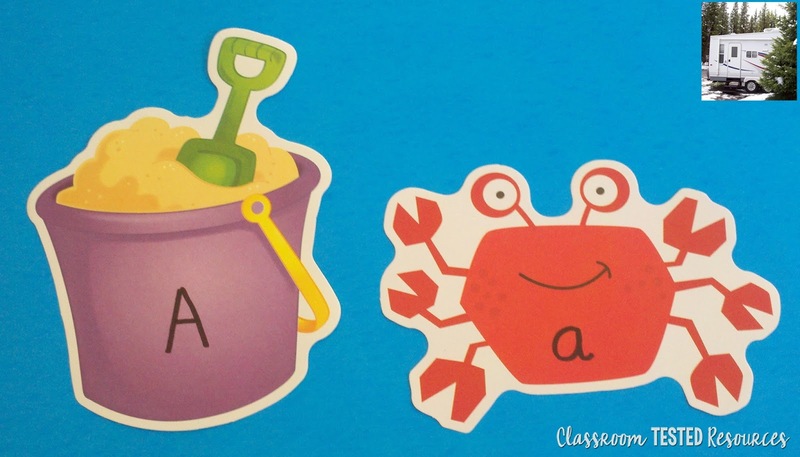 As my district began starting school earlier and earlier in the summer, I began using summer themed learning activities in the early weeks of school. I found them more timely than the traditional fall themed items usually associated with the beginning of school in the earlier years of my career. Here are some summer station ideas I would like to share with you. 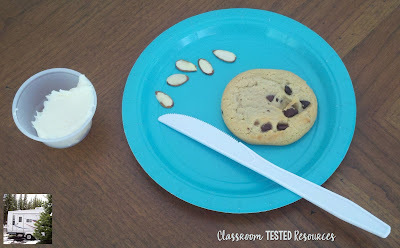 Many teachers do Foodie Friday or other variations of food stations. I think I like the food station as much as my learners, if not more. I emphasize food station guidelines and the importance of hygiene practices when we first begin food stations early in the school year. Once I get learners familiar with the routine and expectations for the food stations, the stations run smoothly. 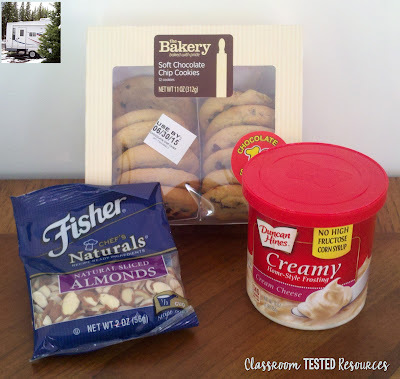 *You may use any flavor of cookies your learners will enjoy. I planned to use sugar cookies, but the store was out so I am using chocolate chip. 1. 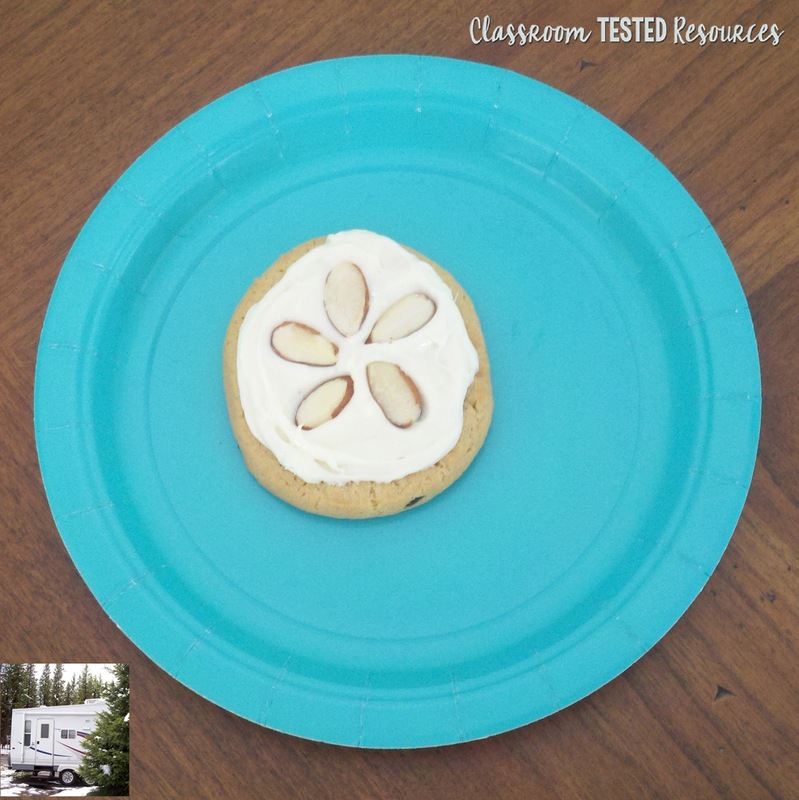 Give each learner 1 cookie, frosting, and 5 almond slices. 2. 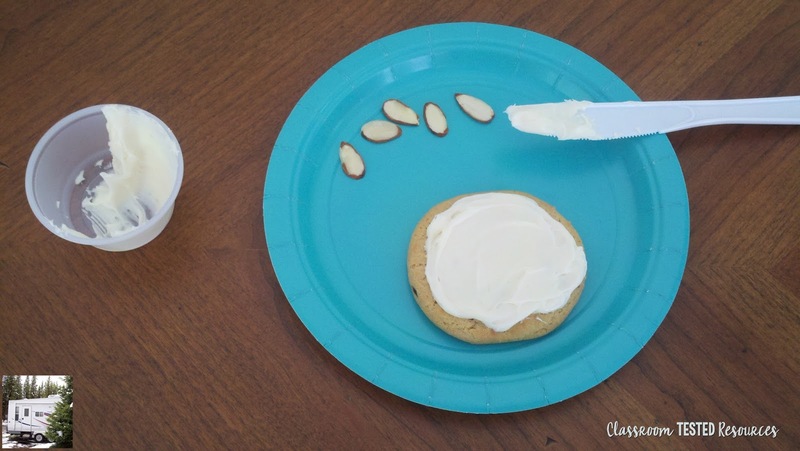 Learners spread frosting on the cookie with a plastic knife or craft stick. 3. Learners arrange the almond slices in a star shaped formation on top of the decorated cookie. I love Brent Holmes’ fun animal tunes. Sea Tunes for Kids has catchy tunes your little learners will enjoy at your listening station. There are songs about manatees, lobsters, horseshoe crabs, porpoises, and more. 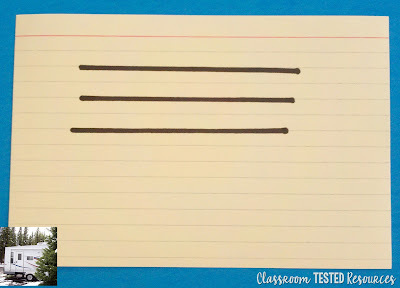 The Walrus Song offers reinforcement for skip counting by 2, 3, and 4. The Horseshoe Crab & The Seahorse Song is a fun little song about two ocean friends on a trip into town to spend their sand dollars. 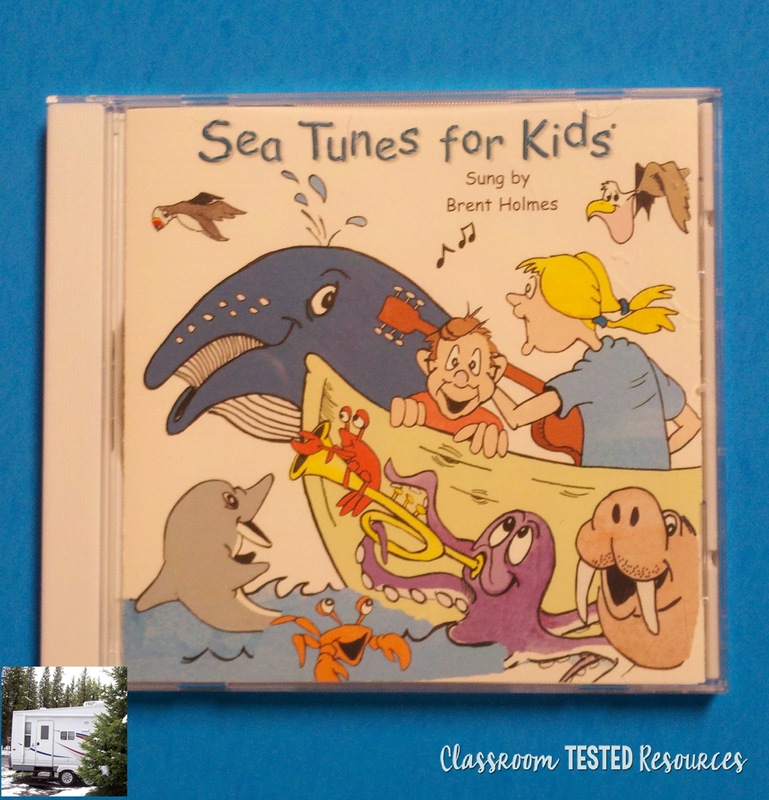 The CD also includes narrative tracks with information about oceans and sea life. 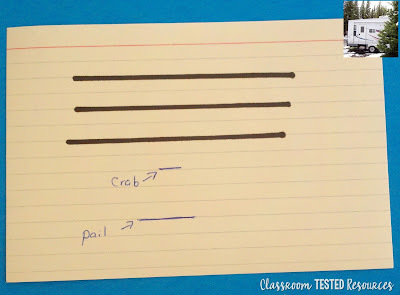 You can use note pads and die cut decor shapes from dollar stores to make low prep station activities for your class. 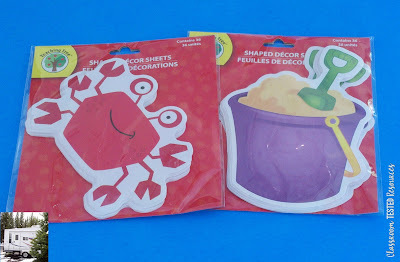 (The ones pictured above are from Dollar Tree.) These items work well for matching activities. They can also be used to make activities where learners put the shapes in numerical or alphabetical order. One of the difficulties I had with making these activities was writing letters or numerals neatly on the shape. I would have some larger or smaller than the others. Some would be printed higher or lower on the shape. 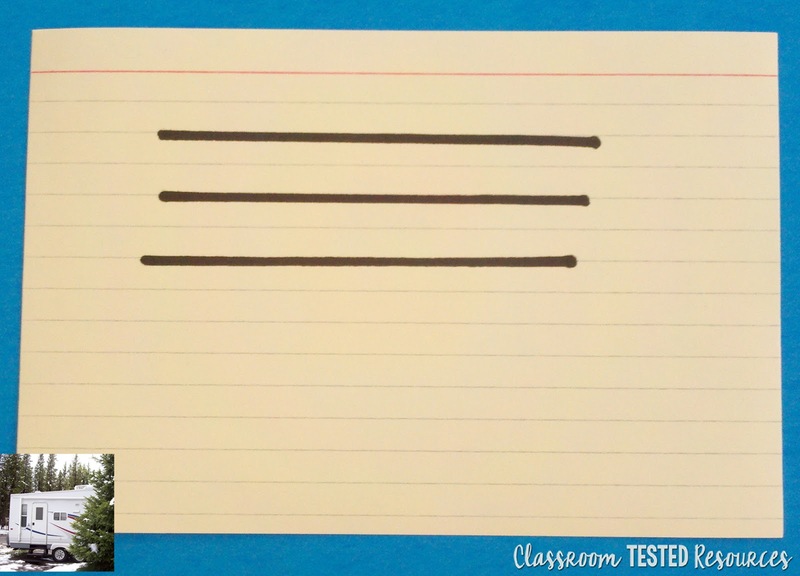 I now take an index card and use a straight edge to make writing lines to create a guide card. I place the guide card behind the shape. The writing lines show through faintly. I adjust shape until the writing lines are in position with where I want the letter or numeral on the shape. I write the character on the shape, using the lines from the guide card underneath to help with alignment. I make a small mark on the guide card to indicate the bottom of the shape. I can then align each shape to help the activity pieces keep a uniform appearance. 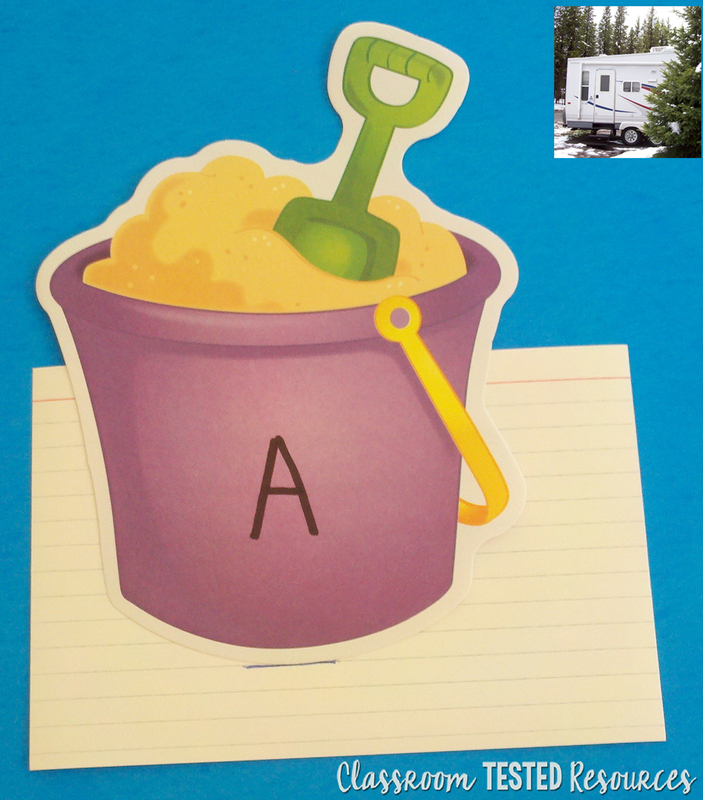 This activity is for letter recognition and matching upper and lower case letters. Learners can also put the shapes in alphabetical order. 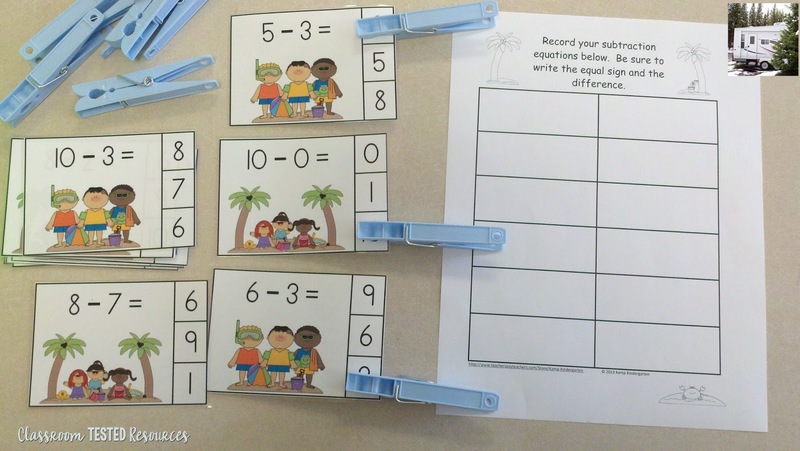 Kids at the Beach Subtraction Math Center (Minuends to 10) is a free clip card resource that allows your learners to develop subtraction fluency while addressing fine motor skills. It can be used with or without the recording page. I enjoy keeping the station items in a sand pail to enhance the beach theme. 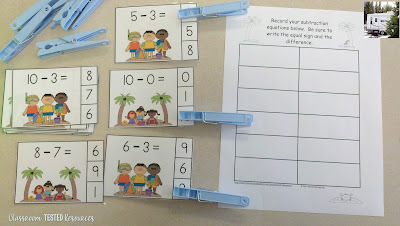 Beach Kids Ten Frames No-Prep Printables (Quantities of 11 to 20) make a fun math station for your learners. 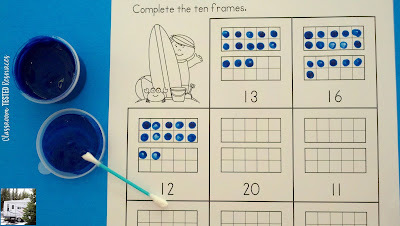 Give them paint and a cotton swab to complete the ten frames. 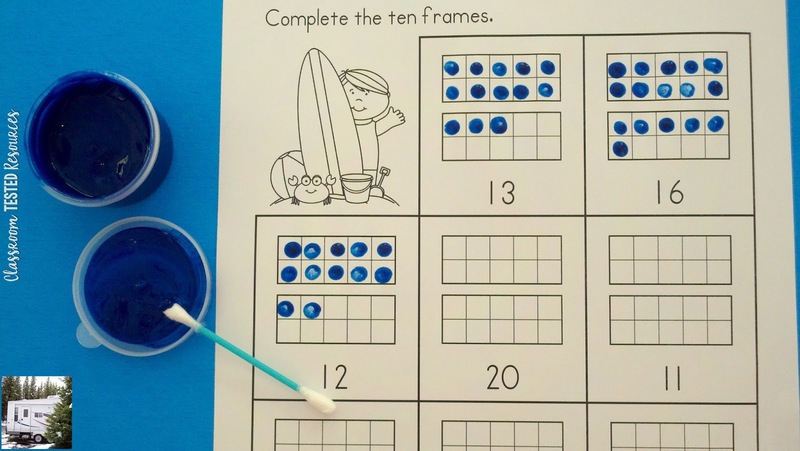 They dot paint the blank ten frames to represent the number printed below the ten frames. 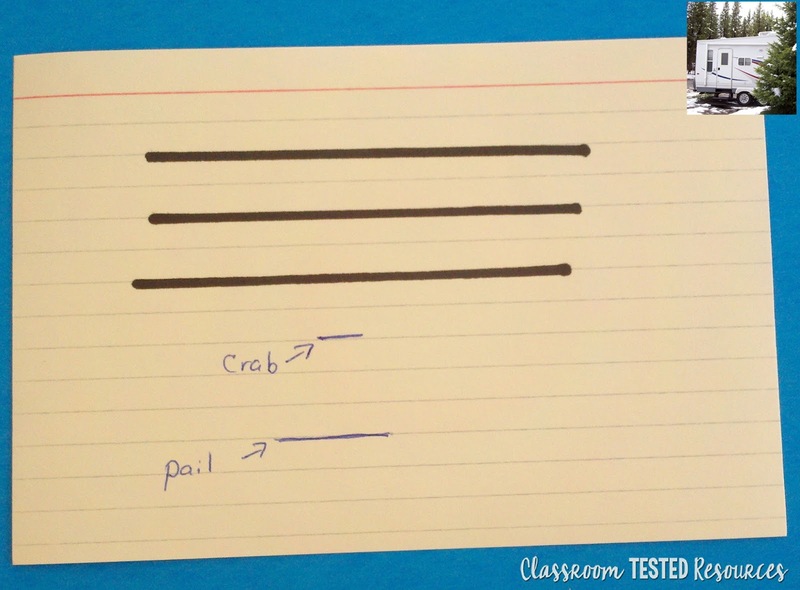 This is beneficial to learners needing a more tactile approach to learning. It helps all learners with fine motor development. Last, but certainly not least, dot painting turns a traditional printable page into a more enjoyable experience for your little learners. 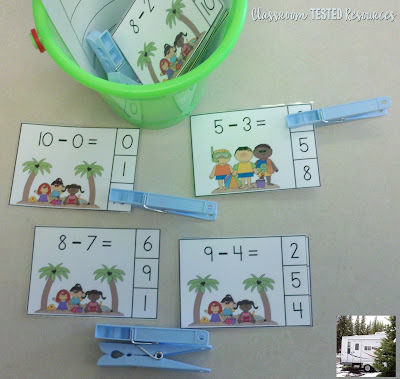 I hope you and your learners enjoy these summer stations. Have a Safe and Happy Summer!